Enjoy a warm cup of deliciousness inspired by everybody's favorite snack. 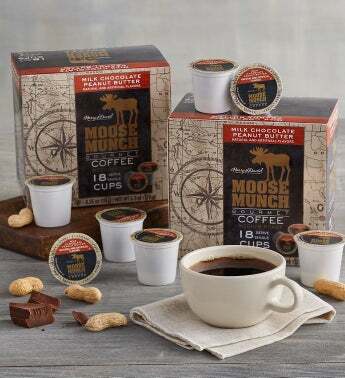 Made with 100% Arabica beans and featuring subtle flavors of caramel, peanut butter, and chocolate, this irresistible coffee is the perfect early morning pick-me-up or after-dinner treat. Convenient single-serve cups make it easy to enjoy gourmet goodness whenever the mood strikes.